Saying they were negatively surprised by the year-on-year decline in media revenue at SPH, CGS CIMB recently said that Singapore Press Holdings is now anchored by property. It added that the Singapore Press Holding’s media business is still not a pretty sight. While that being the case for SPH’s media business, their property segment is growing from strength to strength said the CGS-CIMB report released on 9 April. CGS-CIMB said that besides property, that SPH’s growth plan include digital transformation, aged care business. 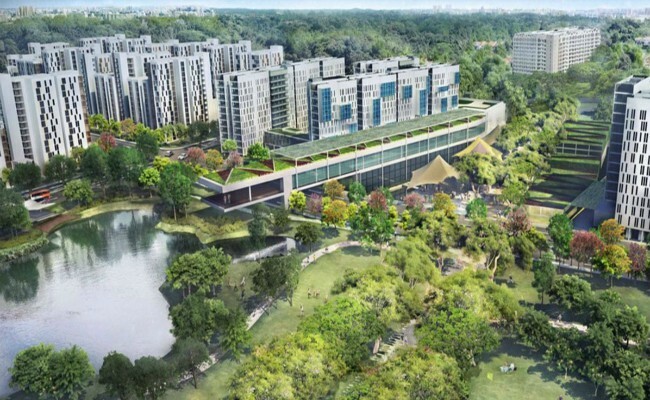 Following CGS-CIMB’s report that Singapore Press Holdings is now being anchored by property, Singapore Press Holdings Limited on April 16 announced that it will acquire a portfolio of Purpose-Built Student Accommodation in the United Kingdom. SPH’s wholly-owned subsidiaries, Straits Five Pte. Ltd, Straits Six Pte. Ltd. and Straits Eight Pte. Ltd. entered into a sale and purchase agreement with Habitus Holdings S.À R.L., Privilege Holdings S.À R.L. , Privilege Southampton Holdings S.À R.L. and AIGGRE Europe Real Estate Fund I GP S.À R.L to acquire a portfolio of Purpose-Built Student Accommodation (PBSA) assets in the UK for a cash consideration of approximately £133.7 million (approximately S$237.0 million). The portfolio spans 3 cities in the UK and has a total capacity of 1,243 beds. They are situated in Southampton, Sheffield and Leeds, which have sizeable full-time student populations and enjoy strong occupancy rates in excess of 90.0%. The portfolio comes with a rental guarantee that covers the 2018/2019 and 2019/2020 academic years. This provides earnings visibility as SPH integrates the assets into its current portfolio of PBSA managed assets. Adding to the recent acquisition of 380 beds in Lincoln and Glasgow, SPH’s PBSA portfolio has a total capacity of over 5,000 beds across 20 assets in 10 cities. The AUM is now in excess of S$600 million, establishing SPH as a leading PBSA player in the UK. With an enlarged platform, SPH can extract greater economies of scale and has started operationalising its asset management capabilities under the new Capitol Students brand. 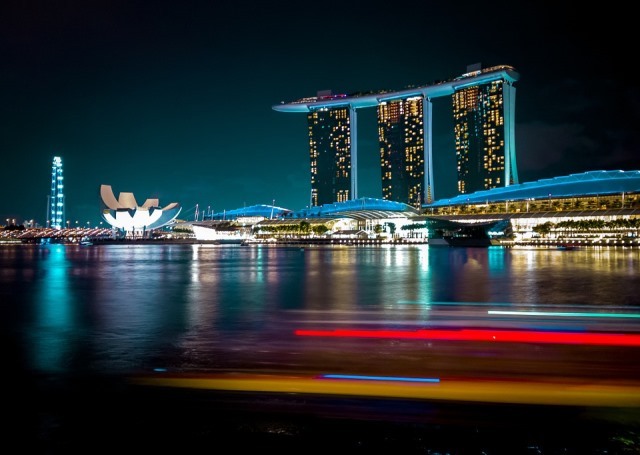 Singapore Press Holdings has developed on-ground operational expertise, with a dedicated team of 5 in the UK, 8 in Singapore overseeing the portfolio together with more than 100 employees managing the assets. Sales and marketing capabilities have also been expanded, with a centralised marketing and sales office. A community portal is also being developed for the 2019/2020 academic year, supported with backend business processes and booking systems. The portal is envisaged to define the students’ experience and be the connection through which Capitol Students partners the institutions and parents on the students’ lifeshaping campus journey. The world class higher education system in the UK is well-placed to grow, backed by rising demand from both local and international students. With a healthy student-tobed ratio, the asset class has demonstrated strong rental growth over the years. This transaction was completed on 16 April 2019. Are you planning to invest in properties lbut ensure of funds availability for purchase? Don’t worry because iCompareLoan mortgage broker can set you up on a path that can get you a home loan in a quick and seamless manner. The post Singapore Press Holdings is now anchored by property, not media appeared first on iCompareLoan Resources. Dear all readers, I am invited by ShareInvestor and REITAS as one of the panelists to share my view on whether REITs is still a viable investment in the coming REITs Symposium. If you are the following audiences and keen to learn about REITs, you can click the REITs Symposium here to register. A loan shark is a person who offers loans at extremely high interest rates, has strict terms of collection upon failure, and operates outside off the street (outside of local authority). The term usually refers to illegal activity, but may also refer to predatory lending with extremely high interest rates such as payday or title loans. An unintended consequence of poverty alleviation initiatives can be that loan sharks borrow from formal microfinance lenders and lend on to poor borrowers. Loan sharks sometimes enforce repayment by blackmail or threats of violence. Historically, many moneylenders skirted between legal and criminal activity. In the recent loan sharks have been a feature of the criminal underworld. In Singapore, a loan shark is referred to as Ah Long. It is is a colloquial term for illegal loan sharks here. They lend money to people who are unable to obtain loans from banks or other legal sources, mostly targeting habitual gamblers. Often, they discreetly advertise by sticking notices, mostly on lamp posts and utility boxes around a neighbourhood, thus vandalising public property, as authorities must remove such advertisements. They charge high interest rates (generally about 40% per month/fortnight) according to Anti-Crime, Drug and Social Development Voluntary Organisation and frequently threaten violence (and administer it) towards those who fail to pay on time. When a person fails to pay on time, the Ah Long will set fire, spray paint, splash, or write threats in paint or markers on the walls of the property of that person as a threat of violence and to scare, and perhaps shame, the borrower into repaying the loan. A common use of painting includes the characters “O$P$” meaning “owe money, pay money”, as well as the debtors’ unit number. According to local police authorities, there have been cases where borrowers and their family members were beaten or had their property damaged or destroyed, and some victims have committed suicide. The best advice to deal with a loan shark is to not deal with him at all. The Singapore police advises the public to urge their friends and relatives not to borrow from illegal lenders but seek help through legal means of financial assistance such as credit counselling helplines and financial management professionals. The Singapore Police Force said cases of harassment linked to activities of unlicensed moneylenders in Singapore went up by about 20 per cent to 4,619 cases last year. There was also a 33.5 per cent jump in harassment by electronic means such as on social media and SMS, with these instances forming the bulk of such cases reported last year. The best advise anyone can get when faced with financial crunch is to cope with cash flow without borrowing. Before you are late on a rent, mortgage, or utility payment, speak with the creditor. For non-interest bills, such as utility or telephone bills, ask about making payment arrangements. Ask to delay payment until your pay arrives or set up a repayment schedule that stretches out payments. Those in financial crunch may ask your friends or family to lend you money. Remember that a written agreement to repay the loan can help avoid family strife later. Licensed money lenders who charge no more than 4% interest per month on the amount you have borrowed, are another source for those under financial stress. The post Loan shark – best advise is not to deal with them at all appeared first on iCompareLoan Resources. A CGS-CIMB research said the Singapore residential market outlook remained relatively stable in 2019. The research ‘Real Estate Day wrap-up’ said both property developers and property services companies expect the Singapore residential market to remain relatively stable with primary transaction volumes in 2019 to remain relatively flat compared to 2018 as lower take-up rates are offset by a higher number of launches. The pace of new launches is expected to pick up from 2Q19 and this is one reason why Singapore residential market outlook will remain stable. The report on Singapore residential market outlook pointed out that buying appetite from local as well as foreign buyers remains fairly robust. CGS-CIMB research said that its projection for primary sales volume to reach 9,000-10,000 units is unchanged, as is its expectation for private homes price performance to remain range-bound between 0% and 3% this year. “The report said that in terms of Singapore residential market outlook it expects volumes to be comparable to 2018 due to the sheer number of launches offsetting the lower reported take-up rates at multiple projects. “En-bloc sellers could help to prop up the resale and primary markets as they look for replacement homes. Management also highlighted that on a relative basis, Singapore property prices remain competitive for China-based buyers which has been a source of strong demand. With the large number of upcoming launches, competition between projects is expected to lead developers to increased commission for agents. However, according to management the impact on margins would not be significant as the commission payout structure from APAC to its agents remains constant. In terms of expansion plans, management revealed that APAC aims to use a franchise model for countries where it does not have an established presence like Vietnam and Cambodia, while a direct ownership model would be preferred for countries where the ERA brand name is established like Indonesia and Thailand. In Indonesia, the ERA franchisee has over 20 years of operating history with c.7,000 agents. In Thailand, APAC Realty has a 80% stake in ERA Thailand via a JV with the current owner-operator. For the rest of the ASEAN countries, Japan, Taiwan and Korea, APAC Realty will employ a franchise strategy for the moment. In terms of competition from proptech companies, management believes that companies like PropertyGuru and 99.co have helped to improve agent productivity by expanding its reach and lowering the cost of advertising. Successful proptech companies have been using listing portals which also help buyers find and shortlist properties so this does not directly compete with the brokerage business of APAC. Referring to property consultant feeback, the report said that Singapore flexible office space market is estimated to be 1.4m sqft or c.1.5% of total office stock in Singapore. “As a tenant of major office landlords, co-working operators lease structures are fairly similar to other office tenants in terms of lease tenure and rents. From the perspective of lease terms of end-tenants with co-working operators, the tenure can range from 1 month to 2-3 years, with an estimated average of 1-2 years. The report said that given the changing business needs today, flexible space providers fulfil the office space needs of small businesses/start-ups or provide swing space for major corporations. The report added that strong interest remains from investors in the property sector, and that overall, investors continue to see value in property developers given the still inexpensive valuations. CGS-CIMB continues to see strong investor interest in property companies spanning across the value chain, andiots outlook for the Singapore private residential market remains stable while overseas diversification remains one of the key strategies. The post Singapore residential market outlook remains stable in 2019 appeared first on iCompareLoan Resources. Swire Properties officially unveiled its first ultra-luxury residential project in Singapore today (April 18), “EDEN”, an exclusive apartment building inspired by Singapore’s vision as a ‘city in a garden’ and designed by Thomas Heatherwick of Heatherwick Studio. Swire Properties develops and manages commercial, retail, hotel and residential properties, with a particular focus on mixed-use developments in prime locations at major mass transportation intersections. Swire Properties is listed on the Main Board of the Stock Exchange of Hong Kong and its investment portfolio in Hong Kong comprises Taikoo Place, Cityplaza and Pacific Place as its core holdings. In addition to Hong Kong, the Company has investments in Mainland China, the United States and Singapore. Located at 2 Draycott Park in the prestigious District 10 Orchard Road neighbourhood, EDEN, the ultra-luxury residential project, offers 20 apartments in total, each occupying the entire floor. Each unit in the ultra-luxury residential project has a saleable area of over 3,000 sq ft, and comes with four en-suite bedrooms. The concept of Eden – which represents natural unspoilt beauty – has been incorporated into the property’s design; with the aim of reconnecting residents with nature and offering a truly extraordinary living experience. The centrepieces of the project are the iconic hanging balconies featuring hand-picked tropical greenery, offering residents a ‘private garden in the sky’ – with amazing unobstructed 270-degree views and complete privacy. “We are excited to make our Singapore debut with a phenomenal residential project in the heart of the city, and are delighted to once again work with Thomas Heatherwick after our collaboration to contemporise Pacific Place mall in Hong Kong,” said Adrian To, Director, Residential at Swire Properties. As a tribute to Singapore, the unconventional tailor-made concrete core features an abstract topographical map of Singapore’s terrain, creating a unique three-dimensional texture. The building breaks tradition and moves away from the use of a boxy floorplate. 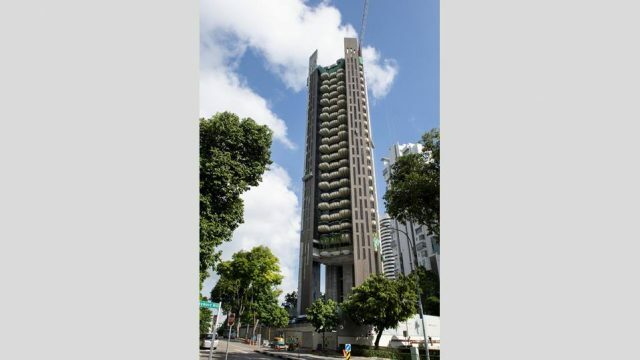 What’s more, the project’s sustainable development features have earned EDEN a Green Mark Platinum rating from Singapore’s Building and Construction Authority (BCA). Natural ventilation is a key green component, and the cantilevered balconies offer solar shading while windows open on three sides to allow natural cross-ventilation – both reducing the need for air-conditioning and energy usage. Concrete was specifically chosen as a building material, for the façade as well, and plays a role in the environmental performance of the ultra-luxury residential project; as its mass reduces the amount of warm air that enters the building’s interior, aiding natural cooling. The ultra-luxury residential project, EDEN, is set to be completed in the fourth quarter in 2019, with more details to come. As price growth across the world’s leading prime city housing markets slowed, Singapore’s luxury home price surged, just behind Berlin and Shanghai said a resent research report. The report by Savills said that with a growth of 7.7%, Singapore is among the strongest performers in luxury home price growth – but in all cases growth slowed dramatically over the year as cooling measures came into effect. “Foreigners form a big segment of buyers of luxury properties and the additional buyer’s stamp duty (ABSD) is still a daunting factor to a foreign buyer,” he added. The cooling measures involved raising the ABSD for home buyers and reducing the loan-to-value (LTV) ratio by 5 percentage points for all housing loans granted by financial institutions. For Singaporeans and PRs buying a second, third or subsequent residential property, the ABSD is raised by 5 percentage points. For foreigners, the ABSD is raised by 5 percentage points; while for entities including companies, it is raised by 10 percentage points. The post Ultra-luxury residential project – first by Swire Properties named “Eden” appeared first on iCompareLoan Resources. The post The truth about people who have financial freedom appeared first on Property Soul.